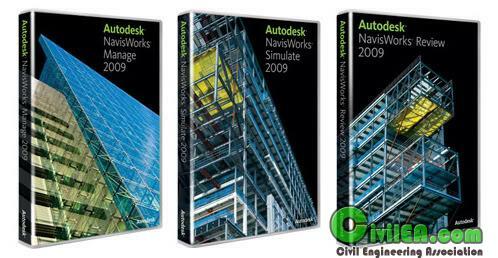 Autodesk® Navisworks® Review software extends access to existing design data for real-time visualization and review, regardless of file size or format. * Measurements tools enable detailed measurement of distance, area, and angles. * Store, organize, and share camera views of the design, and export into images or reports. * Comment on viewpoints with fully searchable notes, including date-stamped audit trail. * Add mark-ups to viewpoints with advanced redlining tools. * Add cross sections and section planes for close inspection of details. * Record animated walk-throughs for real-time playback or export as prerecorded .AVI files. * Use .NWF reference files on open models. The latest version of the CAD design is used, while all previous review data is maintained. * Read intelligent data from the original design files and view it alongside the model. * DataTools feature enables import of live data from external databases using SQL through ODBC, which can then be displayed together with the model. * SwitchBack feature enables easy opening of the current model and viewpoint in the original design software. * Automate tasks or extend functionality using the extensive COM API. * Supports all major 3D design and laser scan file formats. * Streams large models and content intelligently from disk or Internet, enabling navigation around the design as model loads. * Combines models, regardless of file format, into a single unified model. * Provides smooth, real-time navigation with a range of tools including Walk, Look Around, Zoom, Zoom Box, Pan, Orbit, Examine, Fly, and Turntable. * Provides gravity, collision detection, and customizable third-person avatars. Enables navigation through models without moving through walls.